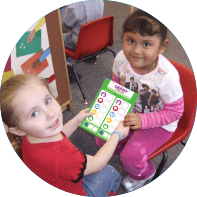 Easy to implement, fast paced, and powerful, Story Champs® helps educators and clinicians promote academic language of diverse preschool and school-age children. Watch your students tell stories with pride, gain social confidence, and build literacy with this fun and engaging program. 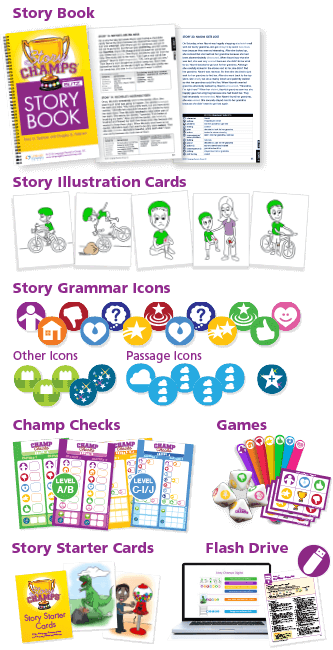 Story Champs includes 24 specially constructed stories with 144 iterations and 65 large group, small group, and individual lessons to accommodate every child’s needs. 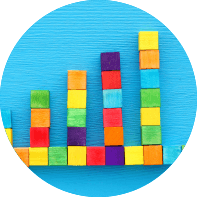 With over 20 feasibility and efficacy studies, Story Champs has produced robust effects for diverse children, often in a short amount of time. Check out our research here. Are your students meeting academic expectations? 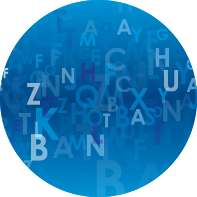 Students who do not have an adequate oral language foundation have considerable difﬁculty meeting academic expectations. 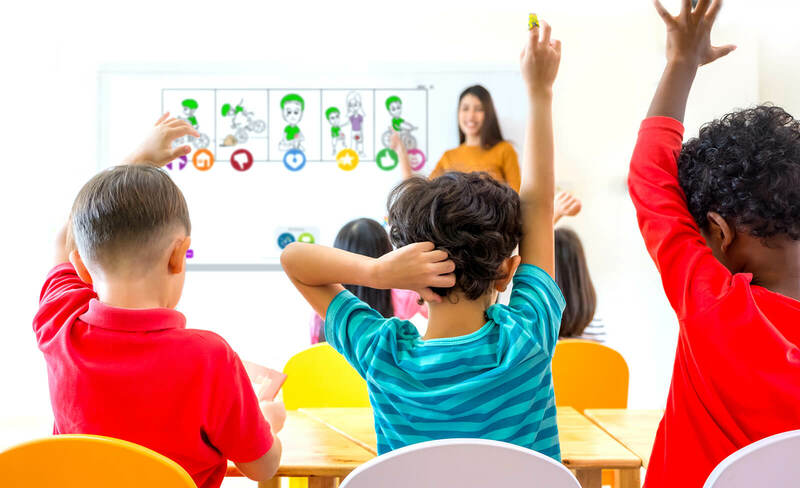 And with the majority of students not meeting grade-level academic standards, educators and clinicians needs interventions to promote academic language. That’s where Story Champs® comes in. Story Champs® was developed to systematically and explicitly promote oral academic language as the foundation to success in school. Strengthening academic language through storytelling fosters growth in other academic skills such as recalling and sharing information, acquiring word meanings through context, expanding domain knowledge, writing, and comprehending. 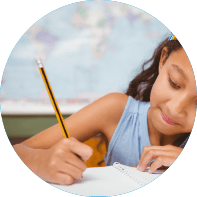 Story Champs® makes this transition to high level academic skills stress free. Story Champs stories are carefully constructed for instructional purposes, but feature common childhood experiences. Child-relevant story themes serve as a familiar context for students to learn new and difficult vocabulary and complex language features. 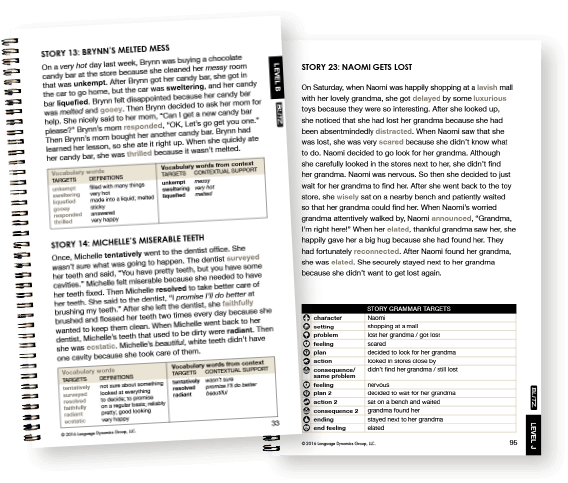 With 144 iterations of 24 stories, Story Champs has an instructional level for everyone. Story Champs® converts excellent oral language gains to improvements in writing. The printable writing organizers and systematic lessons will help your students transfer speaking skills to writing skills. 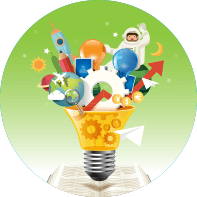 lesson plans help you teach vocabulary and promote inferential word learning. Informational discourse…not as difficult as you might think. If you think students enjoy narratives, wait until you teach them to talk like books! Story Champs® lessons feature expository oral and written language.